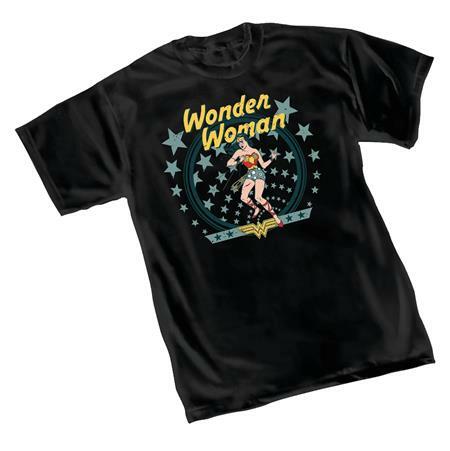 The Amazon Princess takes a giant leap backwards on the new Wonder Woman: Vintage T-Shirt. Features a full-color screenprint on a black, 100% cotton tee. NOW AVAILABLE for sale in Canada and U.K.